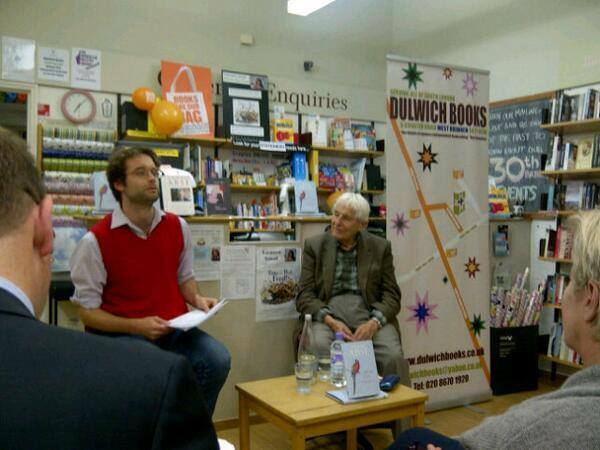 03.12 – 09.13 – In conjunction with The Literateur I ran a series of poetry nights at Dulwich Books, most recently with Dannie Abse, who I also interviewed for around twenty minutes before he read from his work. We talked about, among other things, Yeats and late style, Welshness and Welsh medieval verse, elegy and the difficulty of avoiding cliché. 09.09 – 09.11 – As a bookseller at the London Review Bookshop, a good deal of my time was spent writing advertising copy for certain titles, which appeared fortnightly as part of the bookshop’s advertisement in the London Review of Books. In total I wrote at least fifty of these, a few examples of which follow. I have also independently conceived of the theme and written about half of the copy for two single page adverts, Murder, They Wrote and Quiet Please! A readers’ guide to silence.